Where do I use my Robert Dyas voucher code? Follow the link through to the Robert Dyas website and browse for your goods. Click ‘Add to Basket’ on the items that qualify for the offer. To checkout, hover over the ‘Basket’ link in the corner, then click on either ‘View Basket’ or ‘Checkout’. If you have a code already copied, click ‘Have a discount code?’ and paste it into the box that appears, then press ‘Apply’. Follow Robert Dyas on their social media channels to hear about any flash sales, promotions and discounts. 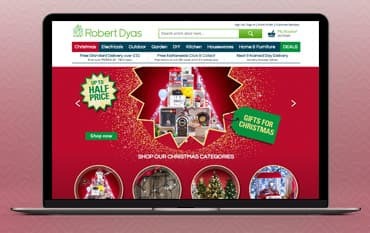 Robert Dyas has 95 stores situated in across the South of England but with their online store, you can shop from the comfort of your armchair 24 hours a day. At Robert Dyas you’ll find everything you might want for your home and garden, including Furniture and accessories, cleaning solutions and kitchen essentials, garden and outdoor products, electricals, DIY gadgets and sports equipment, pet products and more from leading brands like Bosch, Karcher, Tower, Russell Hobbs and many more all at great value for money prices. A great way to save money on your purchase from Robert Dyas is to use one of their discount codes. The codes offer you a discount on select products such as "20% saving on Home Appliances" or "Get 15% off Kitchen Accessories" or money off a minimum spend like "Save £5 when you spend £25 or more". You simply enter the code at the checkout stage to see an instant reduction to your final bill. Always check here at Netvouchercodes, before placing an order, to see what discount codes and money saving offers are available at Robert Dyas. All of the products on the Robert Dyas website are offered at great value for money prices but if you go to the Special Offers page, you will find some amazing bargains on offer. You will find a great choice of products across all categories including kitchenware, small appliances, power tools, garden accessories, cleaning products, DIY products, audio products and more all offered at up to 50% discount. So, if you are looking for a bargain then check out the Robert Dyas Special Offers section. In the Kitchen department at Robert Dyas, you’ll find the quality kitchen equipment from leading brands like Bosch, Russell Hobbs, Panasonic, Kenwood, Hotpoint, Swan and more, all at great value prices. So whether you are looking for a new toaster, want to replace your old kettle, or fancy trying out your culinary skills with a top of the range food processor, you'll find everything you might need to equip your kitchen at Robert Dyas. Some orders will be tarckable and you will receive notification of this on the email you receive to confirm dispatch. You will then be able to track your parcel's prgress by logging into your account. Where is the nearest store to me? To find your nearest Robert Dyas store please visit the Store Locator page and input your town or postcode to see a list of your nearest stores. Student discount is offered at various times throughout the year, so keep an eye out on the website and for any promotions sent via email or on leaflets in store. Whether you need a new BBQ or a Vacuum Cleaner, Robert Dyas has everything need for the home. Using one of our Robert Dyas Promotional Codes you can save money on electrical’s, outdoor, gardening, kitchen, cleaning, DIY, home & leisure and much more. With a wide range of products matched by low prices, it's little wonder why Robert Dyas has been around for as long as it has. From the unique and innovative to every day, you can find all you need and more for your home and garden at Robert Dyas!